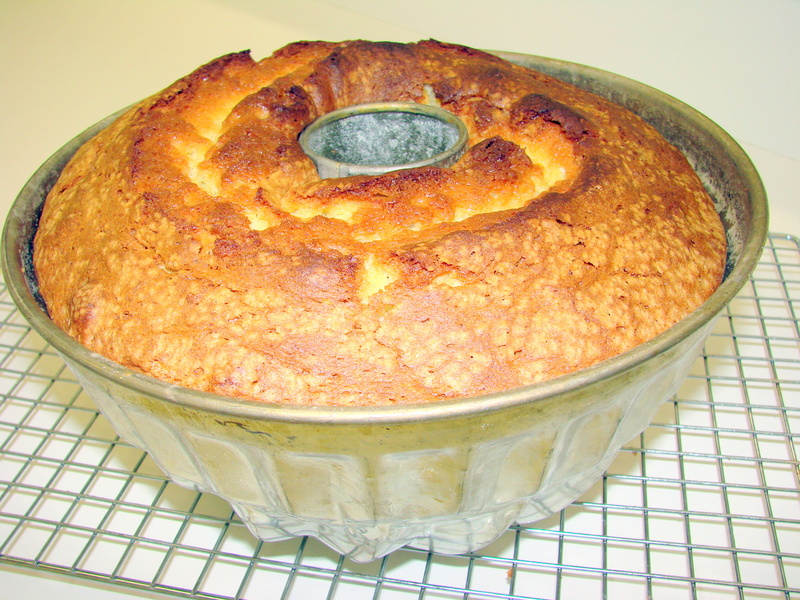 So many have asked for the recipe of my Viennese Pound Cake...so, here it is! 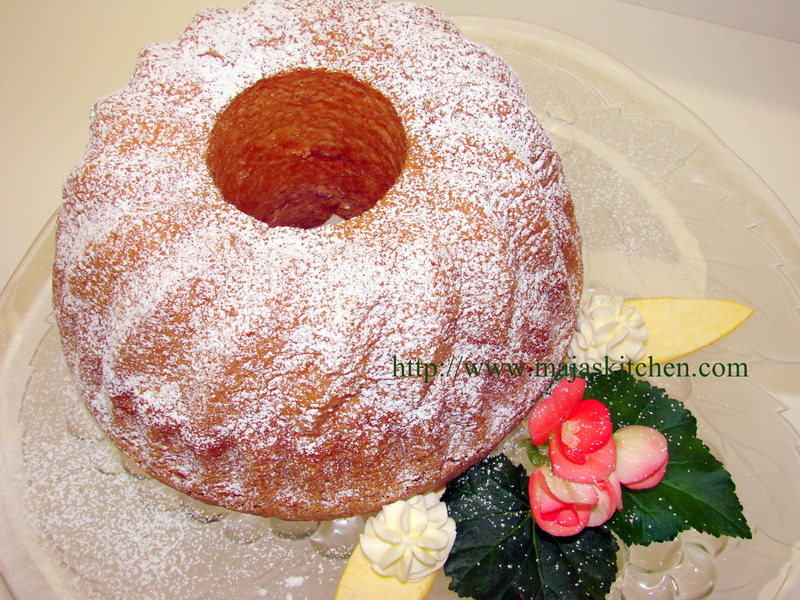 Preheat oven to 350 F – Grease and dust Kugelhupf form….or…. 2 loaf pans! Add egg yolks – one at a time, beat well after every addition. Beat egg whites to medium peaks and mix into the above dough. Bake in preheated oven for 1 hour and 15 min. 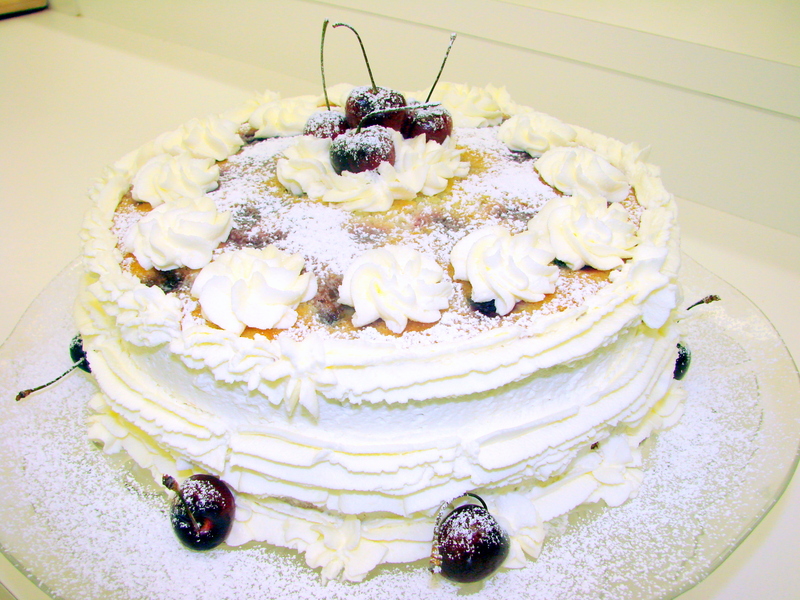 Serve with whipped cream…….mit Schlag! If you have any questions drop me a note…. I will help in any way I can. In the Christian world….“Carnival is the period between Epiphany, January 6th and Ash Wednesday, given to…. all kinds of rejoicing, and in particular one experiences the pleasures of the table….” according to “Larousse, Gastronomique”, an Encyclopedia of Food, Wine and Cookery. 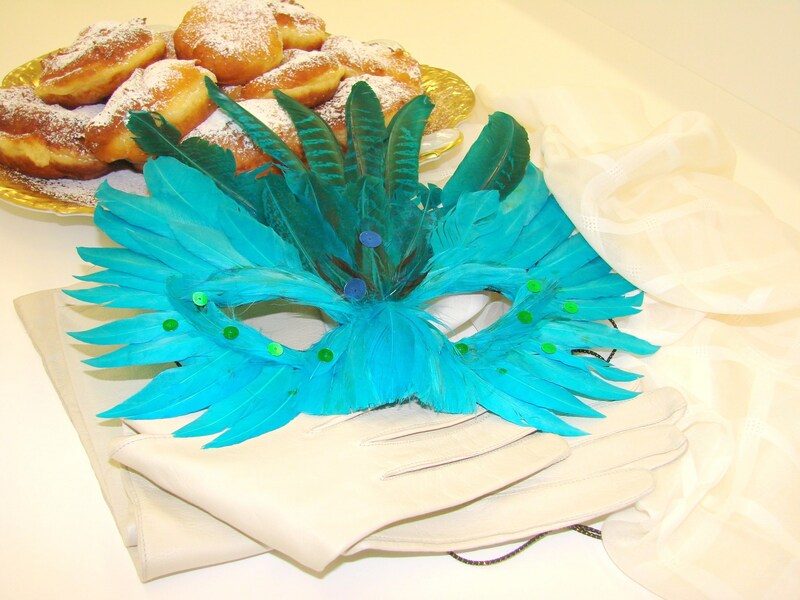 Carnivals are celebrated all over the world in all kinds of different ways, like masquerading to be someone one is not, or hiding behind a masque. This also is the time when one experiences the best and happiest moments with special meals while gathering and enjoying friends around the table. Every country enjoys it’s specialties and favorites during this time of celebration, and with it experiences the “last Hurrahhh ” before a somber, introverted and self-examining time that leads toward Easter. I am not as familiar with other countries, but I have lived in Austria and Germany during my childhood and adult life, where I have experienced Fasching in its reality or should I say non-reality and insanity! As a budding teenager my first Fasching was a “Kinder Fasching’s Ball” in Kapfenberg, Austria. My mother made a gipsy costume for me and off I went with my girlfriends to this big event. It actually was very much like a “youth school mixer” in today’s world. One late Saturday afternoon in February we took off to the Auditorium in Kapfenberg, Austria…where the Fasching’s Ball was held. It was cold, snow had fallen all morning and we had to wear wool socks and heavy shoes, which of course did not go with our outfits, and we refused to wear coats, since the coats would crush our beautiful Fasching’s costumes. We decided to wear sweaters under our costumes, which made us look fat…horrors! We had all the teenage problems of self-consciousness and youth. But we overcame all our complaints, especially the freezing temperature by running most of the way to the “Kinder Fasching’s Ball” …to keep warm. This was my first experience of being in a huge room with hundreds of children/youth and some adults. I was totally overwhelmed. It was dark and stuffy, people shouted, the music was blaring, and it was hard to stay with my friends. We kept being pushed apart and were constantly looking for each other. I finally got completely lost and found myself frightened and close to tears. Having been a person of quick decisions, even at that age, I found the door where we came in and left. I ran all the way home, in the dark, having been sickened by fright to the point of fainting. I had to, for the first time in my life, put all my strength together to put one foot in front of the other. I got home totally exhausted and collapsed into my mother’s arms. I never wanted to go to another Fasching’s Ball…..ever again! The next Fasching’s Ball experience I had when I spent my year at the University of Tuebingen in Germany. It was given and held at the different Fraternity Houses. Needless to say this too was quite an experience. However, I was an adult and knew that if I did not drink, I would survive the evening. I concentrated on checking out the buffet tables and explored the specialties of the chefs. These tables were much more intriguing than all the “rejoicing” that was going on around me. A Krapfe is simply a doughnut without a hole. 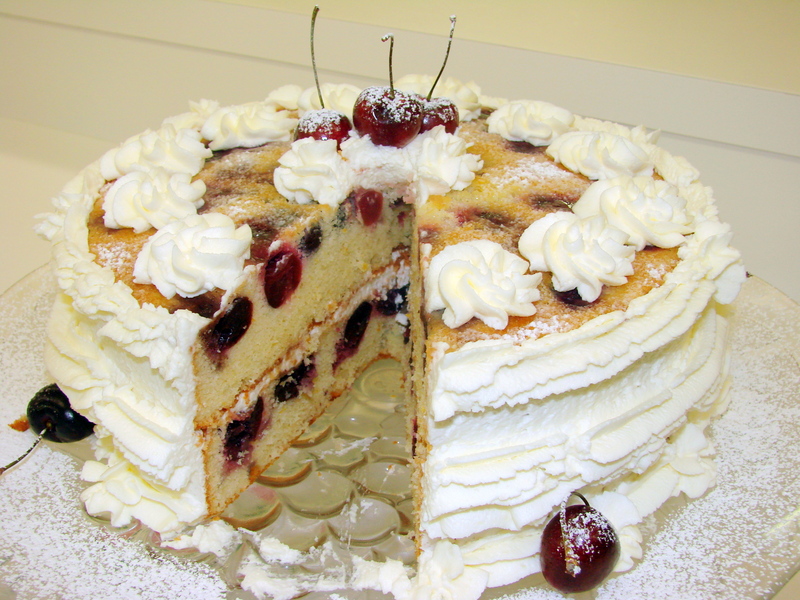 It originated in Vienna in 1615 and was created by Caecilie beim Peilertor, who was a “Luxusbaeckerin” a very creative, high-end pastry baker. 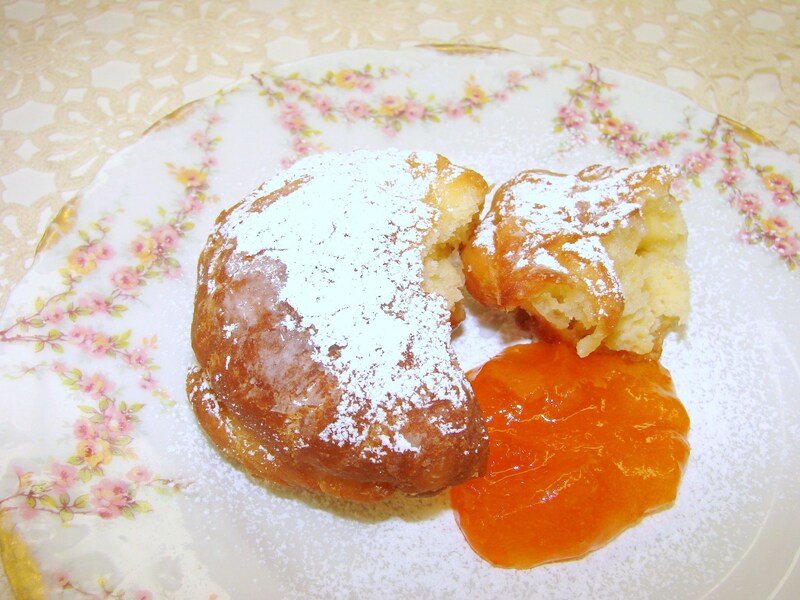 To honor her at that time these doughnuts were called “Cillikugeln” (Cilliballs), a derivative of her name, and 30 years later they and she were again honored with being filled or eaten with Apricot Jam. From then on Austrians cannot live without Apricot Jam! It was at Fasching that engagements were announced during the 17th century with a custom that allowed the girl to break a Krapfe in half and share it with the young man who would be her betrothed. There were many “Krapfen-Haeuser,” Doughnut houses, in Vienna, and its culinary archives tell us about a Fasching in 1815 when 10 million Krapfen were consumed during its celebration. To help you celebrate the night before Ash Wednesday here is my family recipe for this wonderful pastry. 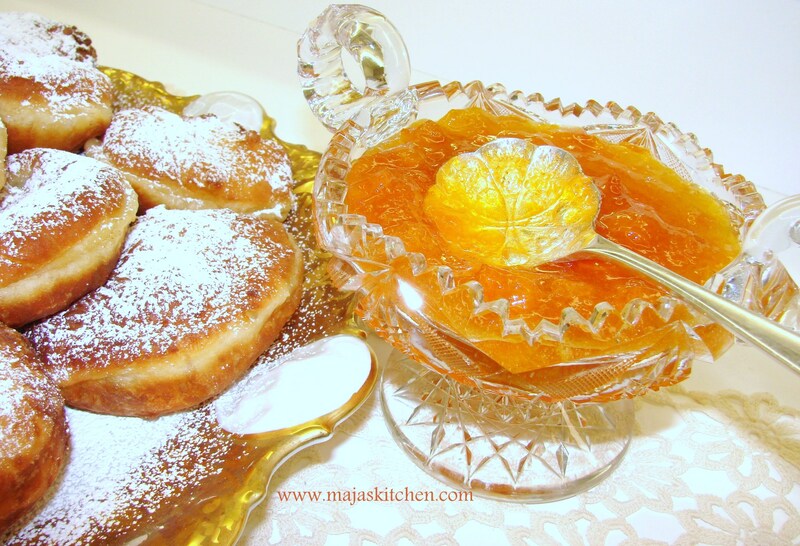 If you make them at home with your children and eat them with apricot jam you just might start a new tradition in your family. 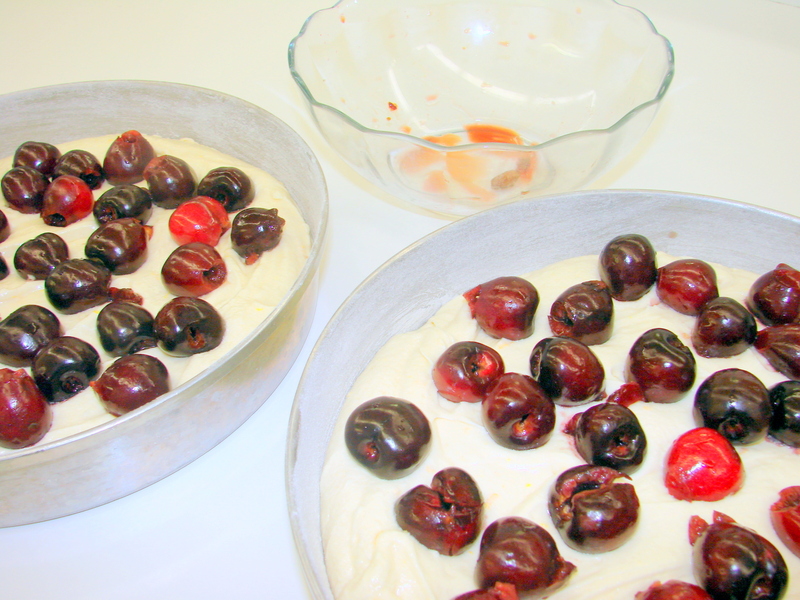 Place all the above ingredients into an electric mixer and beat for 10 min. at medium speed. 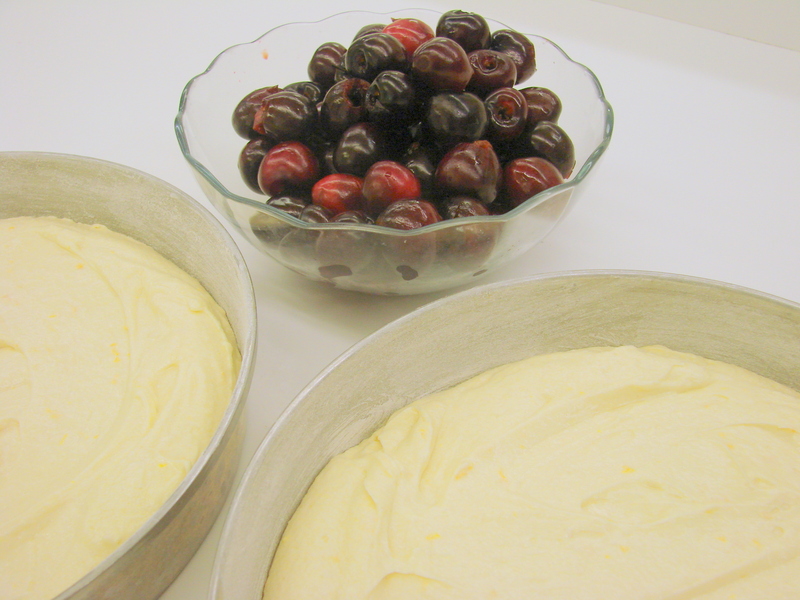 Let the dough rise in the same bowl in a warm place, covered with plastic wrap. When the dough has doubled in size punch it down and beat again – 5 min. – with the electric mixer. Let the dough rise again till double in size. Dust a surface with flour and pour dough onto it. Knead it briefly and roll it into a ball. Let the dough rest, covered with a cloth, for about 10 minutes. Roll out the dough to a rectangular shape – about ½ inch thick. Keep dusting the dough with flour because it might be sticky. It is a very delicate dough ..therefor handle it gently. Cut out 2 ½ inch round. Let them rise – about 10 to 15 minutes while the peanut oil is being heated in a wok or a saucier. Add 1 stick of butter to the oil for a special flavor…..this is optional. The oil should be only 1 inch high in the pan. 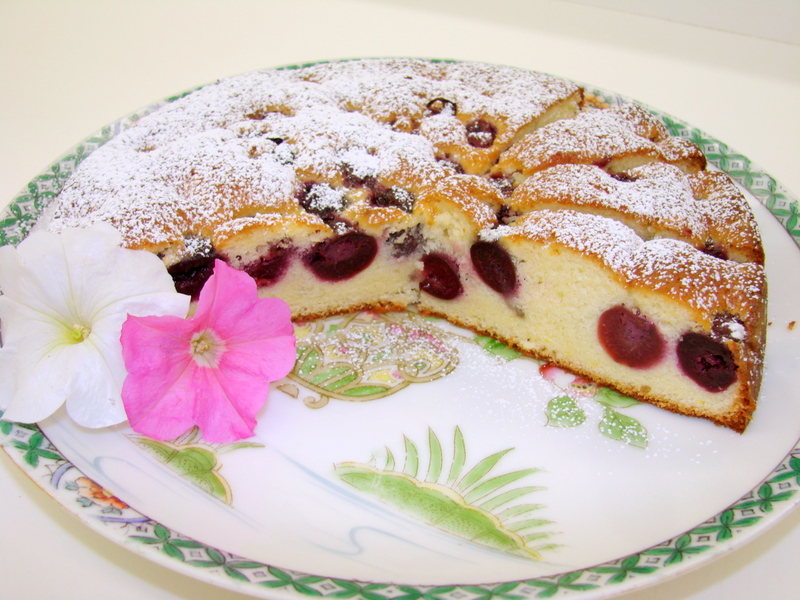 This pastry is not actually “deep” fried……..since it is important to achieve a white ring around the Krapfe when it is fried. Also the oil needs to be on medium to low heat…..to cook this pastry slowly and to assure that they are cooked through. 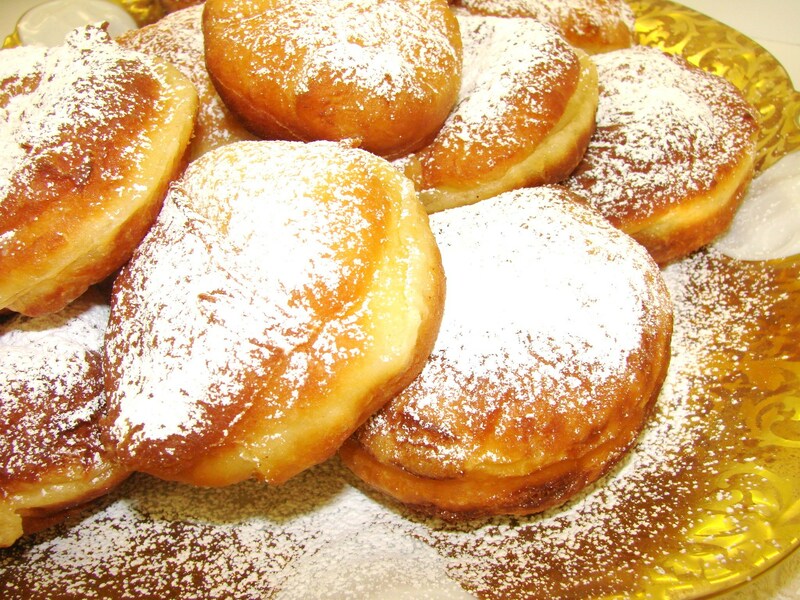 Place Krapfen into the hot oil – floured side down and fry them till golden brown…..turn them once. They should have a white stripe around them, and drain them on paper towels. Sprinkle them with confectioner sugar …and enjoy them when they are still warm. To eat them the Austrian way…..is to break them in half with your fingers and dip them into the Apricot Jam on your plate!